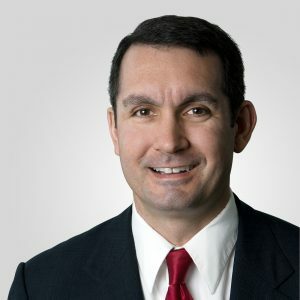 Eugene A. DePasquale became Pennsylvania’s 51st Auditor General January 15, 2013. As the state’s chief fiscal watchdog, Eugene is committed to seeing that taxpayer dollars are spent properly and effectively. Eugene is focusing audits on areas that will improve the lives of all Pennsylvanians and prepare our state for a brighter future. His audits have found fraud, errors and other financial issues in school districts and charter schools to the tune of well over $20 million. The audits also have shown how the state can do a better job of protecting drinking water and ensuring the humane treatment of animals. He conducted a large-scale audit of the Department of Environmental Protection’s monitoring of water quality related to Marcellus Shale gas drilling; revealed state dog law enforcement issues; pushed for more transparency and governance changes at Penn State and other state-related universities; and investigated the Department of Human Service’s failure to pay workers who provide in-home care for the elderly and people with disabilities. Eugene is a strong advocate for improving safety on college campuses and providing a family-supporting minimum wage. As Auditor General, Eugene is outspoken about charter school financial abuses and the need for education funding reform. He continues to demand public school officials be more responsible with tax dollars while he is fighting to ensure more dollars get to the classroom in an effective way. Under Eugene’s leadership in his first year, the department identified more than $40 million in corporate tax underpayments, misallocated funds, and potential fraud. Eugene raised significant concerns that helped stop plans to privatize the state lottery. He encouraged two of the state’s leading health care providers – UPMC and Highmark – to open their coverage networks to ensure access to quality health care. He helped lead the bi-partisan effort to adequately fund much-need transportation infrastructure improvements across the state. Saving $400,000 in lease expenses by consolidating office space and reducing parking leases. Prior to his service as Auditor General, Eugene was a member of the state House of Representatives where he was known as a leading reformer committed to quality education and a healthy environment. Eugene was born and raised in Pittsburgh. He received his law degree from Widener University School of Law, Master’s from the University of Pittsburgh and undergraduate degree from the College of Wooster in Ohio. He is a graduate from Pittsburgh Central Catholic High School where he was a member of the state championship football team. Eugene lives in York County with his wife Tracey, and their children, Ben and Sarah. He is active in his church and in coaching youth baseball.